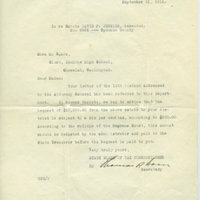 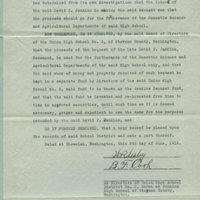 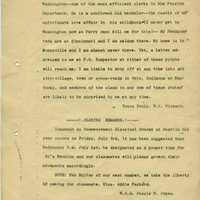 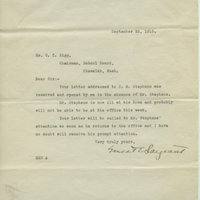 Chewelah School Board October 7, 1915 letter to Howard W. Stull, Prosecuting Atty, Colville. 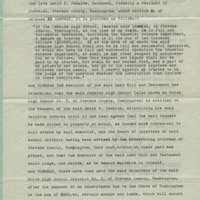 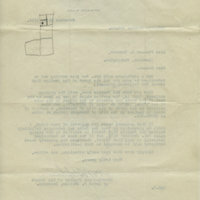 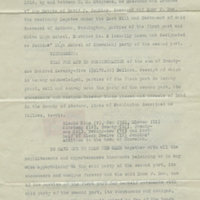 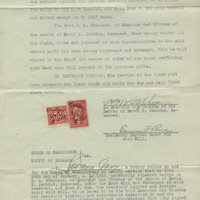 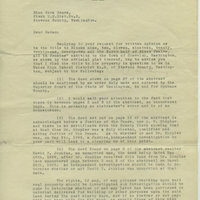 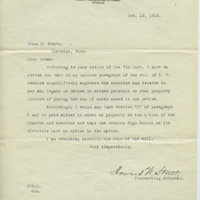 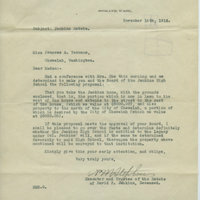 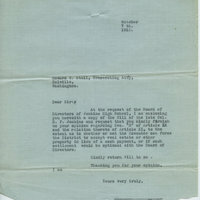 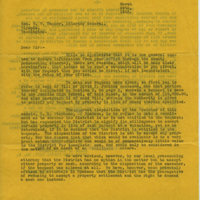 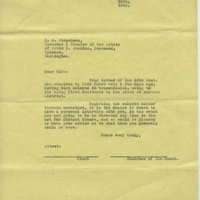 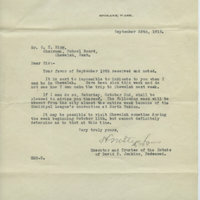 County of Stevens Howard W. Stull October 13, 1915 letter to Cora M. Sears regarding Jenkins estate. 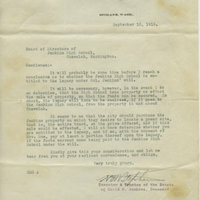 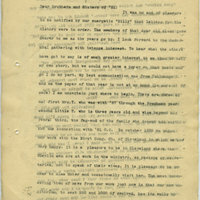 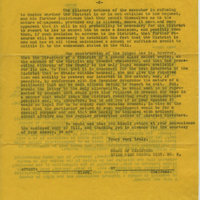 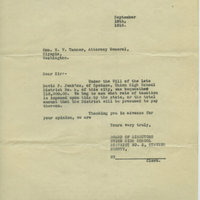 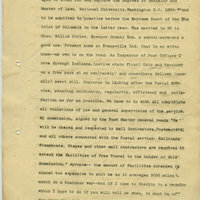 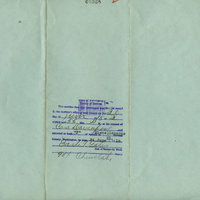 State Board of Tax Commissioners of Washington September 21, 1916 letter to Cora M. Sears regarding David P. Jenkins Estate. 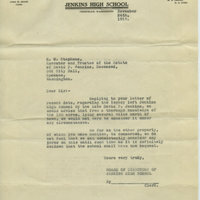 H. M. Stephens offer to the Jenkins High School Board. 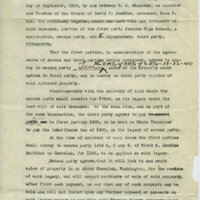 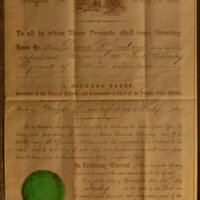 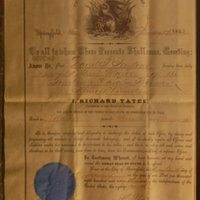 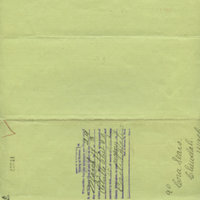 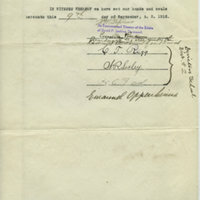 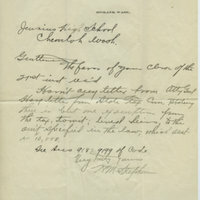 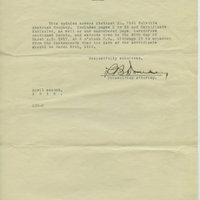 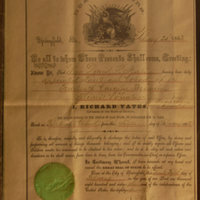 Deed regarding David P. Jenkins estate and the Chewelah school district.